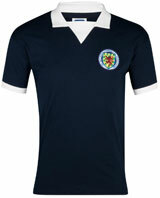 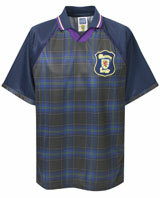 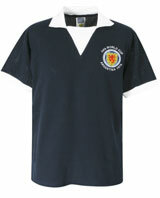 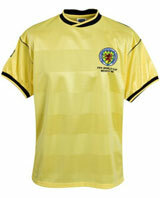 Every Tartan Army member needs to have the right uniform. 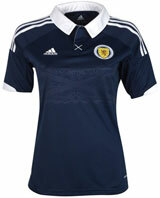 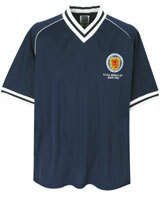 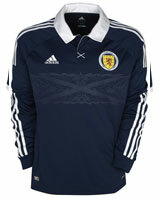 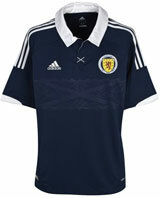 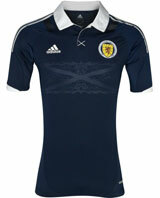 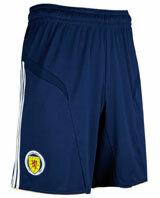 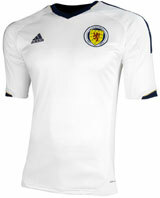 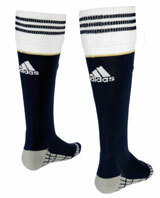 The 2012-2014 Scotland strip by Adidas, featuring shirt, shorts and socks, is typically Scottish with it's traditional colour scheme and national cues of the Saltire and Lion Rampant. 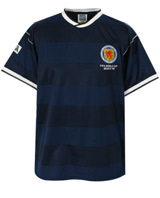 This collection of football kit includes famous retro strips from a number of World Cups which are equally at home on the football pitch as they are worn with your kilt to the big match.